Speaker, Delta State House of Assembly, Rt. Hon. Monday Igbuya will on Thursday, June 8, 2017 speak on the accomplishments of the Sixth Assembly. The speaker will talk about the role of the legislature in the development of the state, the number of bills enacted and major actions taken by the legislature to actualise the Governor’s vision of prosperity. The presiding officer of the Delta State House of Assembly will also take questions on checks and balances, achievements of the Sixth Assembly and the economic concerns of the good people of Delta State from local and international journalists. “The press conference which holds on Thursday, June 8, 2017 at 11:00am in the Delta State House of Assembly Press Centre, is part of activities lined up by the Sixth Assembly to mark its second year anniversary” a statement by the Chief Press Secretary to the Speaker, Mr. Henry Ebireri said. 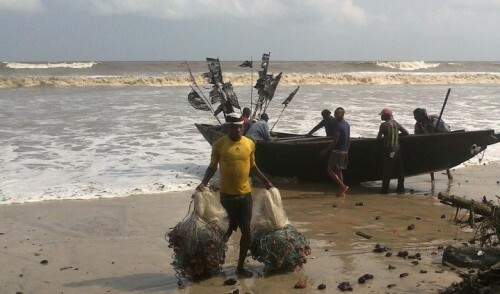 Arrangements have been finalized for holding the 2013 Akata Fishing and Cultural Festival. A statement issued in Lagos on Sunday by the Principal Consultant, Gren Business Dimensions, Mrs Rosemary Duamlong said the need to ensure that every arrangement was in place to make AKATA 2013 the huge success desired by all compelled the organizers to postpone the event. “The festival originally billed to hold from Tuesday, June 4 –Thursday, June 6, 2013 will now hold from Tuesday, June 25,- Thursday June 27, 2013” the statement said. The festival, a celebration of the rich culture of Tiv people in Benue State, is to promote Benue State as a tourist destination and also bring together the local and the global community for greater economic opportunities. “Fishing competition is the main event of the day of the festival. Other activities include traditional dancing, traditional singing, power bike riding, traditional wrestling, boat racing, arrow shooting competition and traditional Tiv pageant (Miss Akata) aimed at promoting the Tiv woman and her virtues. ” the statement said.